to pay for damage not covered by insurance! 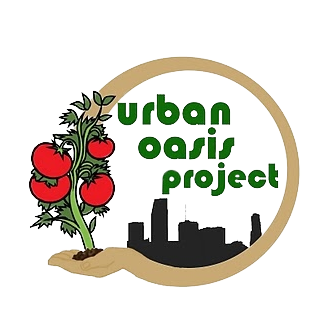 Seeing the huge losses our local small farmers suffered from Hurricane Irma, Urban Oasis Project is inspired to launch a new campaign to create a fund dedicated to providing assistance to farmers repairing and replanting their farms. Small farm damages are rarely accounted for in damages and even when insured are not adequately covered. We believe a thriving local agricultural economy is of great importance to our greater community, not just to those making their livelihoods through feeding our city. Farmers from South Florida can apply with this one page application. Funds are available on a rolling basis as we raise them, and will be disbursed as we can. Thank you for your support and for your work! Email completed applications here. Thanks to generous donations by Lincoln's Beard Brewing, Vizcaya and the beautiful venue of the Wynwood Yard, we were able to raise $1800 at our first event. Most of this has now been disbursed to Bee Heaven Farm, Sunfresh Farm, and the Urban Vegetable Project, but we look to raise more money soon and keep funding local agricultures growth.